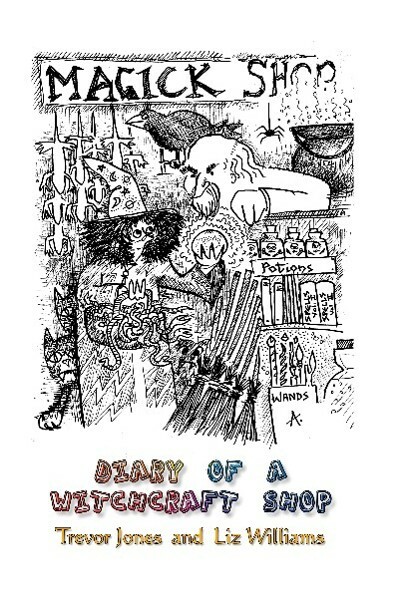 Full of amusing anecdotes and witty observations, Diary of a Witchcraft Shop is a delight, and Trevor Jones and Liz Williams the most congenial of hosts. If Bill Bryson ever decided to settle down embrace paganism and open a witchcraft shop, this is surely the sort of book that would result. Yet Diary of a Witchcraft Shop is far more than just an amusing romp. The book offers a glimpse into the pagan world, one that isn’t sensationalist or melodramatic but is instead considered and intelligent, while providing insight into the unique community that is Glastonbury. The narrative is bursting with surprise, delight and humour, but also has its darker moments, as we share twelve months in the company of Liz and Trevor, complete with visits to the Houses of Parliament, Ireland, and Brittany, not to mention Shetland ponies interrupting druidic ritual and a Tardis manifesting in the most unlikely of places… No, this isn’t fiction, honestly.